The 2018 the Toni&Guy show is guaranteed to surprise, delight and inspire. Opening up with a tribute to its late, great founder Toni Mascolo. 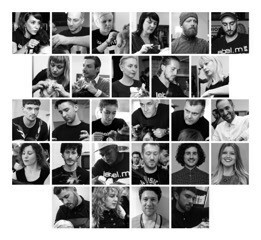 His daughter and Global Creative Director, Sacha Mascolo-Tarbuck and the multi-award-winning Artistic Team will launch the new campaigns for Toni&Guy, essensuals and label.m. As long-time Official Sponsors of London Fashion Week and London Fashion Week Men’s, model’s will walk the runway featuring trend-led styles straight from the catwalk. And before the legendary after-party kicks off, the show-stopping finale will leave guests wanting more. Please join us for a night that celebrates the life of an amazing man and the brilliant work of the brand that is his legacy.